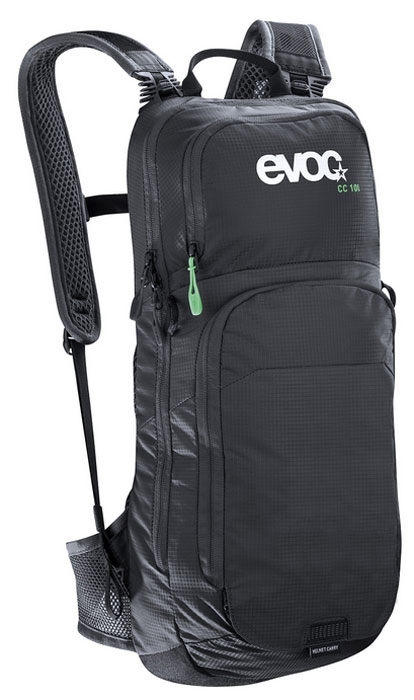 The EVOC CC 10l is an extremely versatile, compact and lightweight bike backpack. 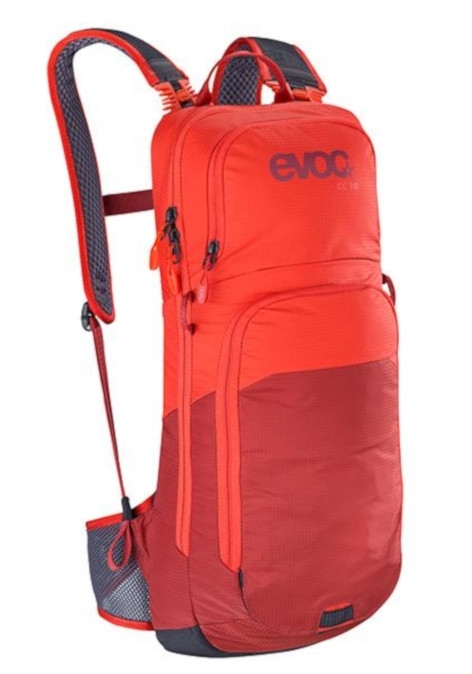 Despite its clean design, the pack features a large number of functional details for the most varied requirements. 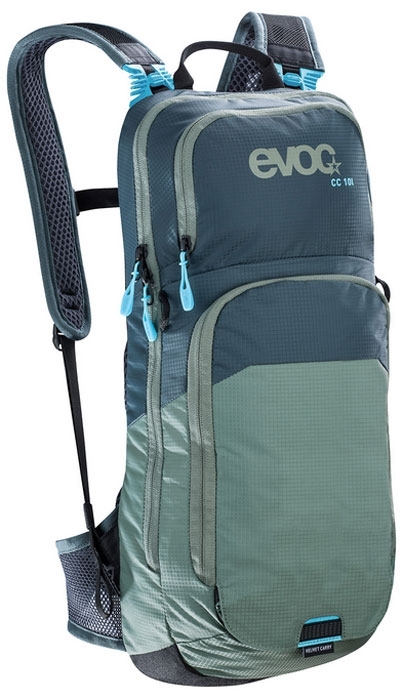 The AIR PAD SYSTEM with its arrangement of 5 ventilation channels 01 (1 main channel and 4 sub-channels) and 6 strategically positioned 3D air mesh pads 02 offers the optimal combination of a close, load-neutral fit and back ventilation. 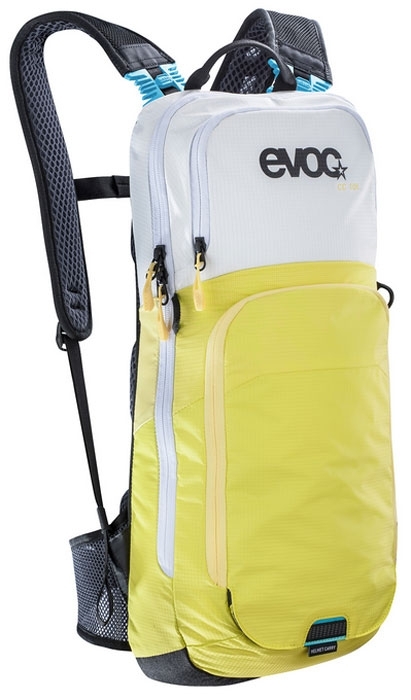 The shoulder straps 03 with air mesh and large ventilation holes ensure that the pack remains securely in place in any situation, and provide optimal breathability on the shoulders as well. 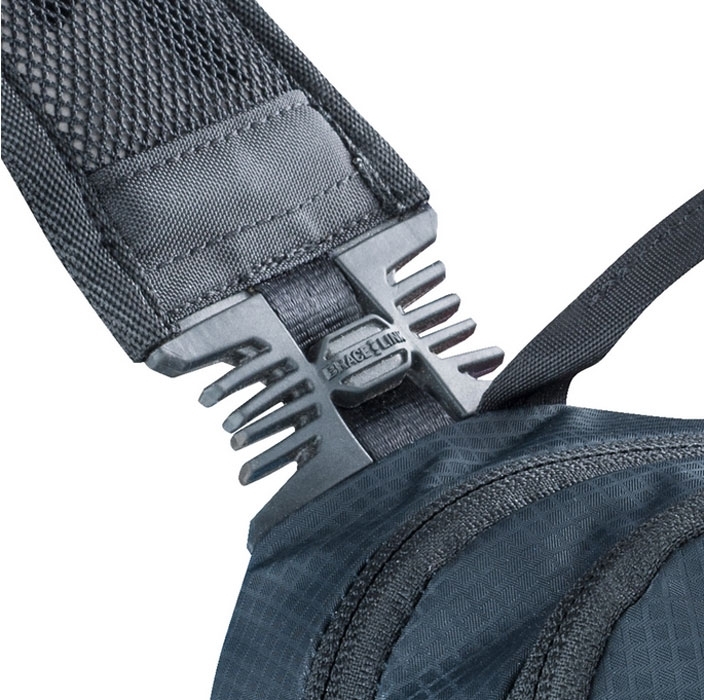 The BRACE LINK adjusts the shoulder belts perfectly to the width of the athletes shoulders. 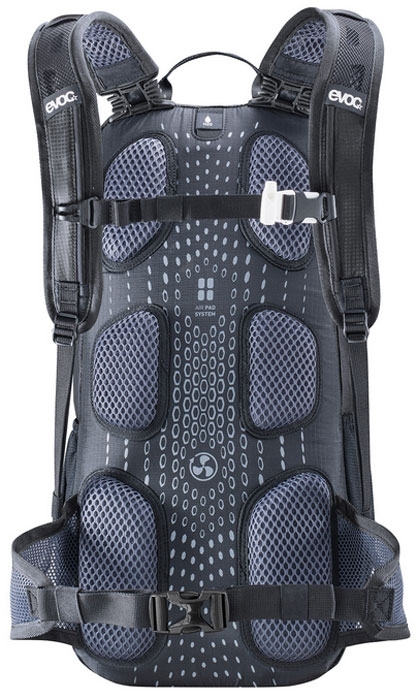 This automatically adjustment endorse the load transfer to the body’s centre of gravity, while at the same time the contact areas with back and shoulders are minimized. 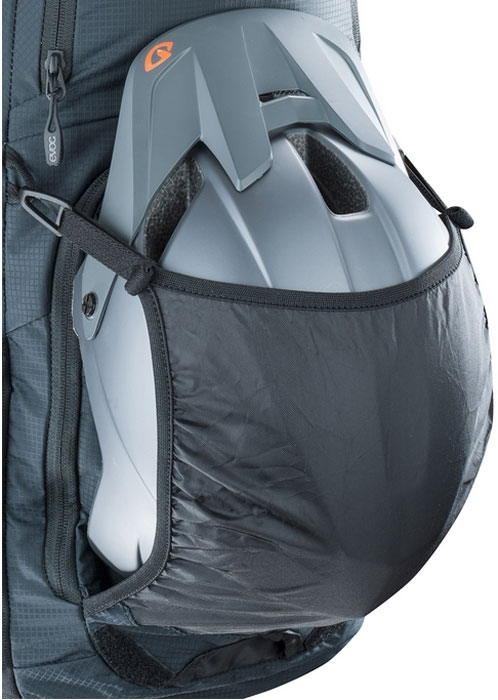 Even wearing a neck brace is possbile through the BRACE LINK. 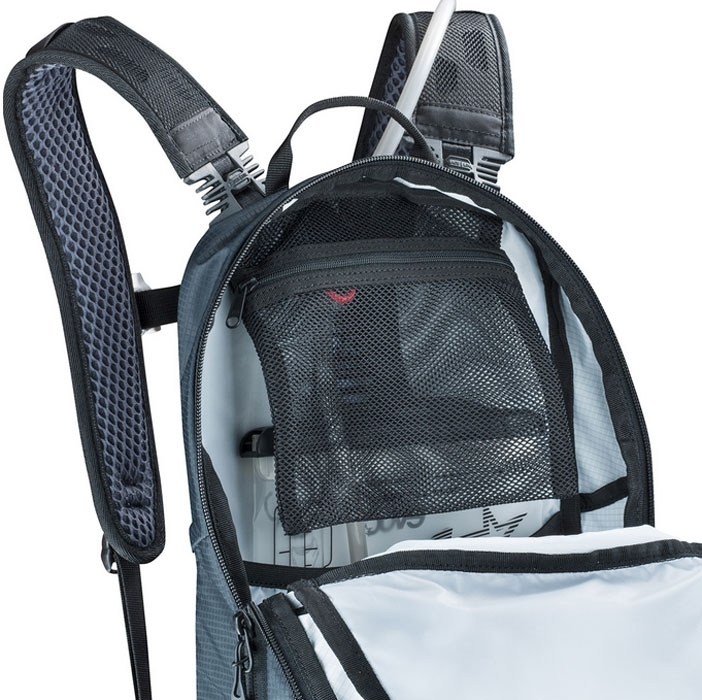 AIR CIRCULATION is used in all our backpacks, as it ensures optimum ventilation while preventing excessive cooling down of the sensitive kidney area, even during extremely high-strain activities or intensive perspiration. Constant, free air circulation is guaranteed as a result of the vertical air channel. Gaps along the sides of the channel allow additional air to escape.